PERFECT ISLAND CONDO... AWAITS YOU ON ANNA MARIA!! Get Busy Living!!! 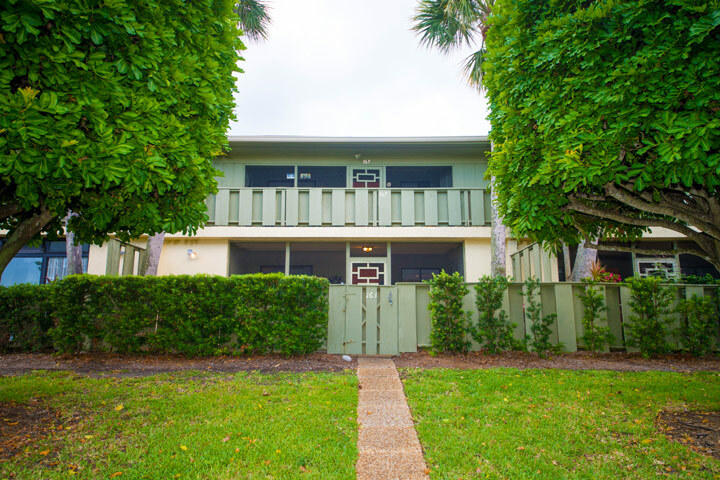 White Palm is a cozy ground floor condo located within the Westbay Point and Moorings condominium complex on the northeastern bayside of Anna Maria Island. 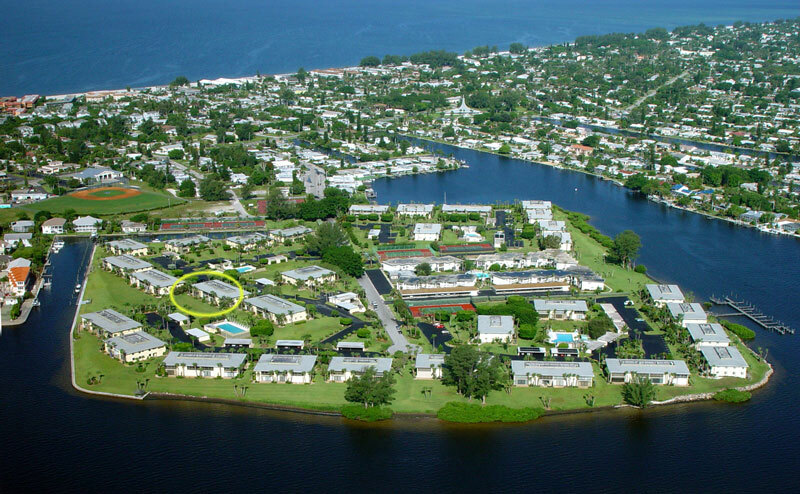 The complex is only a few blocks west of Anna Maria's beautiful white sand beaches and adjacent to a public boat ramp. Fine dining restaurants, local shops, the city pier, museum and library are only a short walk away! The condo's large master suite is equipped with a flat screen tv, a tiled private bathroom with a tub and shower, and a sliding glass door that leads out into the Florida room. 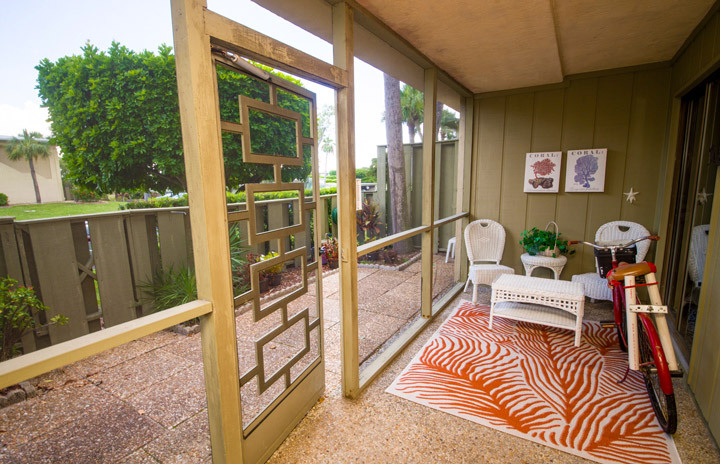 The second bedroom is a guest room, with two twin beds, two closets and one walk-in, and a sliding glass door which leads out to the lanai. The second bathroom is adjacent to the guest bedroom and includes a beautifully tiled shower. The kitchen includes an oven and range, dishwasher, disposal, microwave and refrigerator, and the dining room comfortably seats up to six at an expandable round table as well as an additional two at the barstools by the counter. 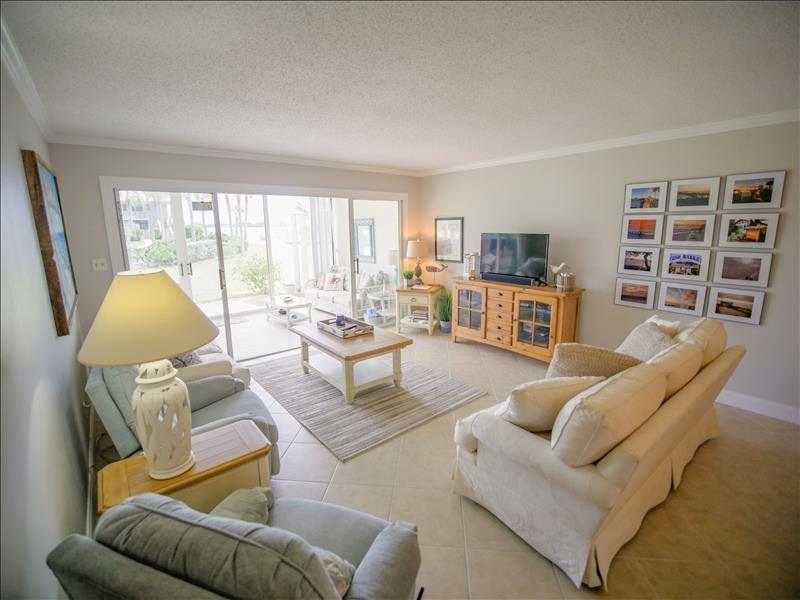 The living room is equipped with a flat screen tv, entertainment center, one comfy couch, one loveseat, two cushioned chairs, and is separated from the Florida room by a sliding glass door. The Florida room couch functions as a pull-out sleeper sofa to accommodate an extra guest. The entire condo has been redecorated with a modern coastal theme. 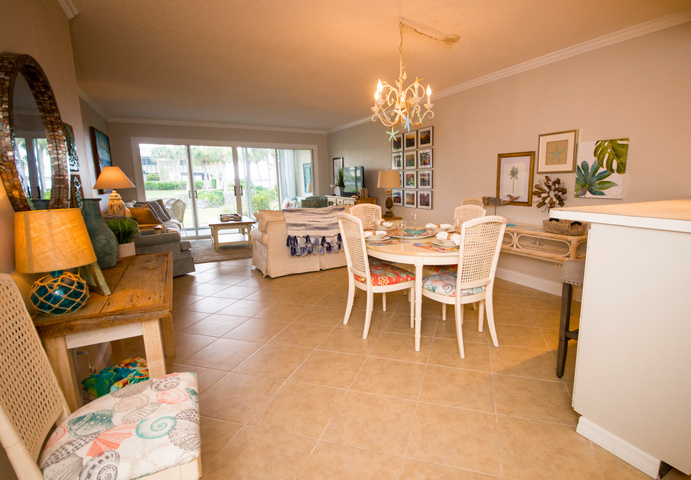 The Florida room provides a beautiful view of the bay from within the condo, but should you prefer to work on your tan while you watch the boats go by, there is a little tiled patio just outside the sliding glass door where you can soak up some sun. If you would like a much closer viewing, there is a lovely wooden gazebo in the complex that sits right on the bay. 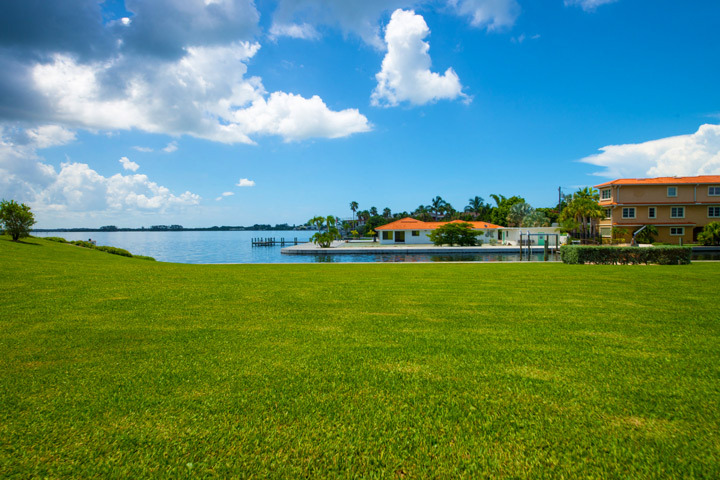 The local wild life, such as blue herons and manatees, can be easily observed from this location, while the gazebo provides the perfect amount of shade for a hot, sunny day. The complex also includes two deluxe heated pools with jacuzzies, where you can take your family for a swim and have a nice chat with other members of the community. There is also tennis courts, so don't forget to bring your racquet!